Johnny Cash spent his life writing music and telling the stories of people from all walks of life - people from both sides of the track. Our "mission" is to continue telling the Johnny Cash Story with the sounds and storyline of the 'Man In Black' Johnny Cash. Every effort has been taken to re-create the sounds of Johnny Cash. From the Guitar playing sound of Luther Perkins; The Stand Up Bass sound of Marshall Grant; The Drumming sound of 'Fluke' Holland and the vocal sound of 'The Man In Black' Johnny Cash. This show appeals to a wide range of audience demographics and is extremely popular for Company and Corporate themed entertainment; Receptions & Hospitality Suites; Trade Shows; Festivals & Fairs; Ribfests; Community Events, Theatre shows & Concerts, and a top draw for fundraisers. Johnny Cash Tribute Artist - Paul Anthony was invited by John Carter Cash to record an album The Nashville Connection at Cash Cabin along with Johnny Cash’s musicians, Johnny’s one and only drummer, WS Fluke Holland, John’s bass player Dave Roe, Guitar player Kenny Vaughan, Chris Scruggs and Grammy Winning Producer Chuck Turner at Cash Cabin. As well a recording of an acoustic version of Johnny’s final release Hurt, using the actual chair in the Hurt video was filmed in Johnny Cash’s farmhouse living room in Bon Aqua Tennessee on 9/11/16. 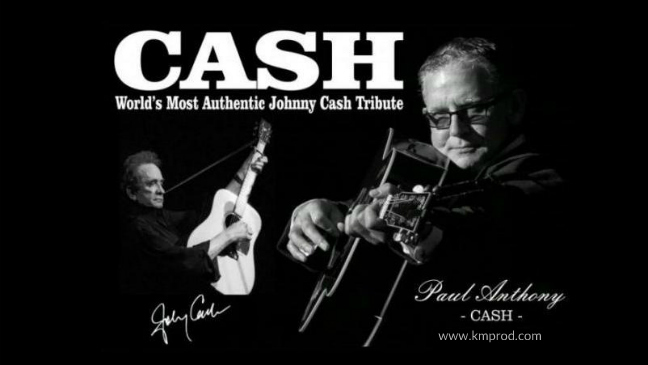 Paul continues to work closely with WS Holland and John’s youngest daughter, Tara Cash, to maintain the accuracy and authenticity of his tribute to the Man In Black, Johnny Cash. Represented by K&M Productions. For more information, fees & booking the Johnny Cash tribute show, contact us. I was in charge of planning our conference this year and searched hard for the right entertainment. Our team decided on the Cash, (Johnny Cash Tribute) show due to the fact that everyone in our group knew so many Johnny Cash songs so this seemed to be the right choice. I looked like a hero following their performance, it was Amazing!! Thanks so much to all the band members for making me look good. 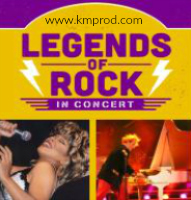 You Must Experience this Tribute Show !!!! –British Columbia Bankers Group, B.C. Their performance was certainly one of the highlights of the weekend. The audience was transfixed with the accuracy of sound. This is a musical tribute not to be missed. What an amazing show, the way they tell the Johnny Cash Story was Great. We would strongly recommend this show for any corporate event. Thank you for making our last evening one to remember.